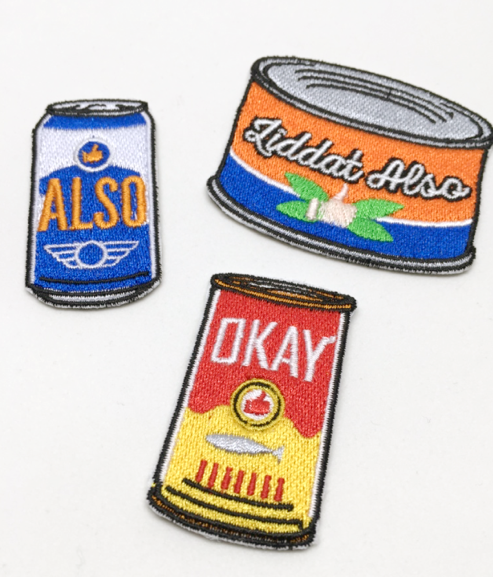 What exactly is embroidery? Simply put, it is a textured design created by stitching threads closely together. For 3D embroidery, the stitches are so dense that they look raised, hence giving it the name “3 dimensional embroidery”. There are many types of stitches that are commonly used in embroidery, such as the satin stitch, the tatami stitch, the running stitch etc. Each stitch will create different look and has a different function. Modern commercial embroidery is done by machinery which is unable to read a flat JPEG file. What we need to do is to digitize the picture file, meaning to convert the picture into instructions made up of the types of stitches, direction of stitches and the colour thread to use. Based on these instructions, the embroidery machine will be able to produce the desired embroidery. We can either perform digitization manually or via a program. Digitization is both an art and a science, as the digitizer needs to have good aesthetic sense to know what types of stitches look good together, as well as the experience and the technical know-how to ensure that the end product is both durable and aesthetically pleasing. If we do not use a human digitizer, we can also use a program to help digitize an artwork into a machine readable format. Common problems that could occur in a program generated digitization is joining stitches, meaning that the thread from one letter to the next is not cut by the machine, or sharp edges are not sharp enough. 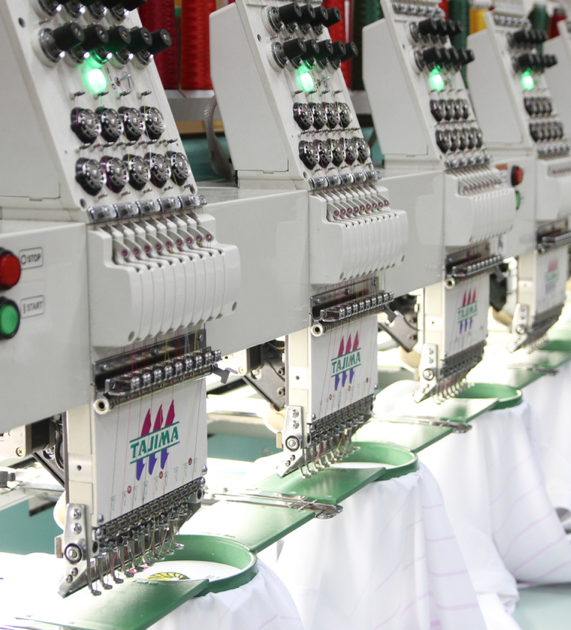 If you would like to have a customised embroidery design, Ark Industries can provide a holistic service. Firstly, do you already have the artwork or the logo in JPEG form? If you do, we have experienced digitizers who will be able to help convert the artwork to machine readable stitch files. Digitisation fees are waived if you are embroidering more than 60 pieces of the same design. If you already have the artwork in JPEG, but you only need 1-2 copies, we will be glad to digitize the artwork for you, but there will be a one-time digitization cost/ set up cost. Subsequently, if you are still using the same design for embroidery, there will not be set up fee involved. 1. Keep the lines thick. If the outlines are too thin, it will not translate well on embroidery. 3. Keep the colours to a maximum of 9. Embroidery is not like heat transfer print, and the embroidery machine is unable to achieve effects like graduation of colours. Keep to a maximum of 9 thread colours only we can only load 9 threads at one go onto the embroidery machine. 4. Small words are not possible. Very tiny fonts are not possible, please keep font size to a minimum of 0.6cm height. If you do not have an artwork or a picture ready, fret not! At Ark Industries, we have a team of experienced designers and digitizers who will be ready to create high quality embellishments. Simply contact us anytime at 6352 0988 and speak to our designers.